On Saturday, October 26th , 25 stalwart souls gathered outside the Welcome Centre at High Lonesome Nature Reserve deep in the Lanark Highlands. A cool, cloudy fall weather day, thankfully minus the forecast rain, was upon us. It did little to dispel our spirits as we waited with anticipation to “Discover the Fun in Fungi”, sponsored by L.G. 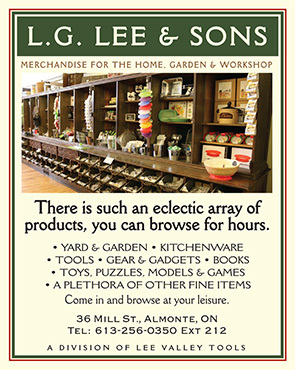 Lee & Sons. Our leader was Richard Aaron, an avid naturalist and educator, and our mycologist for the day. 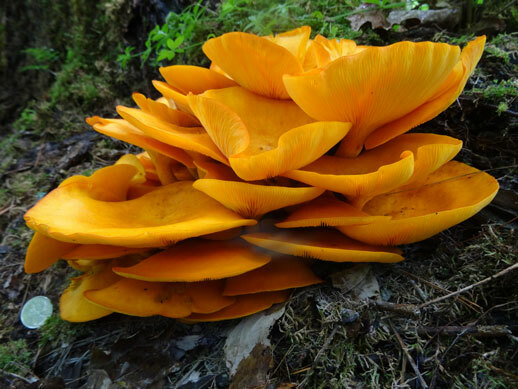 He had just completed his latest fall workshop on “Fabulous Fall Fungi” at the Queens University Biological Station (QUBS) in the Chaffey’s Lock area. He was here today to introduce us to a fascinating world of mushrooms and other fungi as he guided us through the woodlands of High Lonesome, along part of the Beaver Pond Trail. Standing beside a sumac bush where we met our first fungi, Richard soon introduced us to the important role that all types of fungi play in an ecosystem and our world at large. 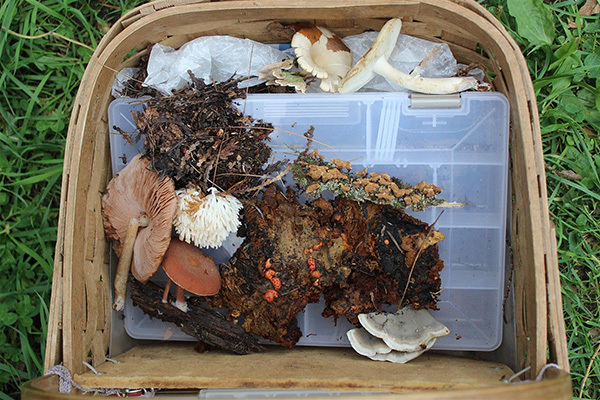 He explained their critical role in providing essential nutrients for the growth of plants as “decomposers” of organic material (dead animal and plant matter), including those fungi that live in a symbiotic relationship with trees & other plants. He even mentioned how antibiotics like penicillin were produced by fungi. And as for the difference between mushrooms and fungi, all mushrooms are fungi, but not all fungi are mushrooms. Mushrooms are the fruiting bodies of fungi, typically produced on/above ground. 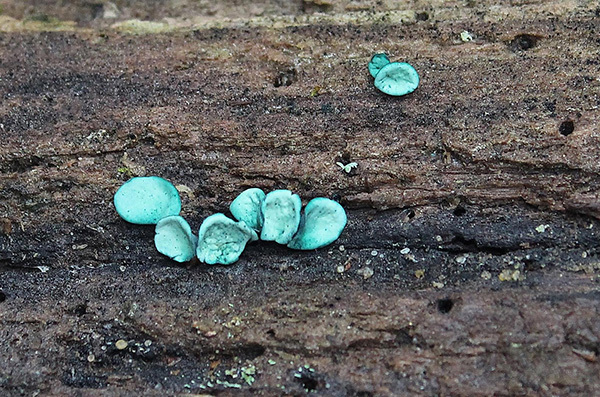 From the very first stop to the many that followed, Richard took us on a journey where each new fungus he identified, big and small, colourful or not, triggered a new story, insight or anecdote. For instance, we learned that the Blue Whale is not the biggest living organism on Earth. The largest is actually a species of Armillaria or honey fungus found growing in a national forest in the Blue Mountains of Oregon that measures 3.8 km across & covers an area of 2,385 acres. We were fortunate for what we learned that day and the mushrooms and other fungi we encountered. From colourful slime moulds, sac and jelly fungi, coral fungi, and a puffball or two – to the shelves of bracket fungi, a destroying angel, several honey mushrooms, and many other species, little escaped the observant eye of our host that day. And such is the fun of foraging for mushrooms even on a drab day.